The Park complex is a residential project lies in the suburban region of Mumbai. A 7 acre private park with great services offered by the Lodha Group. The project offers a combination of comfortable living and a healthy surrounding. It is a luxury aparmnet complex with countryside vibes which is located in Worli(the heart of the city). The project which will be 600 feet above the ground will offer picturesque views of the Racecourse, Worli sea face and the Bandra-Worli sea link. In Lodha The Park, available housing choices here feature 2BHK, 3BHK and 4BHK homes of various sizes. The project consists 6 Towers, 75 residential floors and 7 levels of podium this concept of park on hillin a prime location. The available size of the project varies between 1259 sq.ft. to 2745 sq.ft.Lodha The Park’s layout includes a 7 acre park nearly one and a half times the size of the world’s largest cricket field, the MCG set in a 17-acre neighbourhood. The developer has made sure that all the spaces are very well ventilated and get sufficient natural light.The Park could be the answer to the desire to live the city life in a green country setting. Residents of the location get easy access to public utilities like hospitals, leisure areas, schools and parks. The residential complex enjoys good connectivity with the major commercial hubs of Mumbai via S.B. Road and P.B. Marg.The project is situated at a prime location from where important junctions can be reached easily via highways, expressways and metro routes. 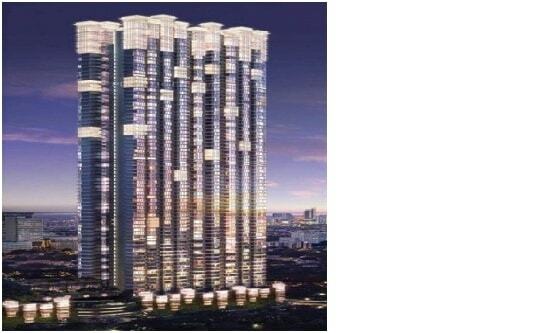 Lodha The Park is 700 meters from Elphinstone Railway Station. The project offers facilities such as cricket ground, Ganesh temple, gourmet restaurants, amphitheatre and a huge 50,000 sq. ft. clubhouse with lavish decor. These roads connect further with arterial routes like Bandra-Worli sea link which leads to BKC and the northern Mumbai suburbs as well as the southern hubs of Cuffe Parade and Worli. The Park is constructed at Worli, opposite to Hard Rock Cafe, Mumbai. The master plan of the project includes a big quantity of facilities with great site.Lodha The Park Worli offers hi-tech security steps.This offers sufficient choices to unwind, renew and entertain yourself Clubhouse right here has practically every little thing including restaurant, coffee store, spa, gymnasium, Earthquake resistant RCC framed structure, CCTV cameras, boom barriers, smart card access and manned security are a few of the many security features offered by the project. For kids the project has totally safe play area with sand pits, swings, and other gaming facilities. Schools: - J. B. C. N. Pan Academy, RM Bhatt High School And Junior College, JBCN International Schoool, Podar Jumbo Kids Plus, Hill Spring International School. Shopping Malls: - High Street Phoenix, Bay Side Mall, Century Bazaar & many more. Hospitals: - Sanjeevanee Hospital, Ashvini Nursing Home, Nowrosjee Wadia Maternity Hospital, Vedicure Wellness Hospital. Restaurants: - Hard Rock Cafe, Chinese Corner, Domino's Pizza, Hotel Malvan Samudra, SUBWAY, Great Punjab Restaurant And Bar. Railway Stations: - MTN/Mumbai Matunga, Byculla Railway Station, Lower Parel, Dadar Station.